Almost as if it was your child, you surely want the best for your explainer video even before it gets shared with the world. Well, good news! There is a lot you can do to guarantee your video content will be successful. Take into consideration these three tips and ensure your explainer video helps you reach those marketing goals you have in mind. A good quality explainer video features a story that is unique to your target audience and your brand. From thinking about the explainer video style that best suits you to writing a creative and engaging script, custom is the way to go if you want a good quality marketing video. Videos that use template characters and fixed scenarios are perceived as low quality because they lack the distinction and liveliness a brand needs to stand out from the crowd. The same goes for animation: if characters, objects and transitions don’t run smoothly or if characters don’t seem to react naturally to what’s going on, your audience will get distracted instead of engaging with what you have to say in your video. A big no-no! A good quality video will feature a natural voice, recorded specifically by a professional voice actor who has the gender, tone of voice and even the accent your target audience can identify with. In contrast, prerecorded robot voices don’t feel natural and tend to have already been heard someplace by everybody, because well, they are template voices. There’s no way you can distinguish from your competition by using the same low-quality resources! Once you have an amazing explainer video to share, well, share it! The best advice we can give you is to stick to a media plan. Decide which channels you want to be on, when to post, send an email marketing campaign and so on, and how to do it. Make sure every decision is made by taking your target audience into consideration. How does my target audience get informed? Where do they spend their time online? When are they most available or willing to take the message I am offering them? In what creative style can I reach them to get the most impact? Remember: identification is key in content marketing! If your audience feels touched by your message, they will most probably respond to your call to action. Yummy tip: Never forget your CTA (call to action)! Whether it is liking your Facebook page, completing a form or downloading an eBook, make sure you always respect your buyer’s journey when deciding what it will be. If you decide to make a template video or choose a video production company to make it, the truth is video has a cost and it is wiser to opt for the best. If you are on a low budget, our suggestion is that you make a home video. It could be a screencast video, for instance! But if you have taken the decision to invest in an explainer video, take it to the professionals! From moment zero they will guide you (and you will be able to guide them) so that they come out with a unique, engaging and super professional video that will represent your company in the best way. Making a video requires a lot of effort and a team of professionals is the way to go: from writers, to producers, to designers, to illustrators, to animators… each role has a unique value and having this team work for you will ensure a custom, professional and great quality result. Your brand will definitely profit from that! Yummy Tip: Learn what to look for in an explainer video production company by downloading our free resource How to Choose the Right Explainer Video Company for Your Business. Have you had the awesome experience of making an explainer video for your brand? What do you think can’t be missed to have the best output ever? Tell us in the comments below! 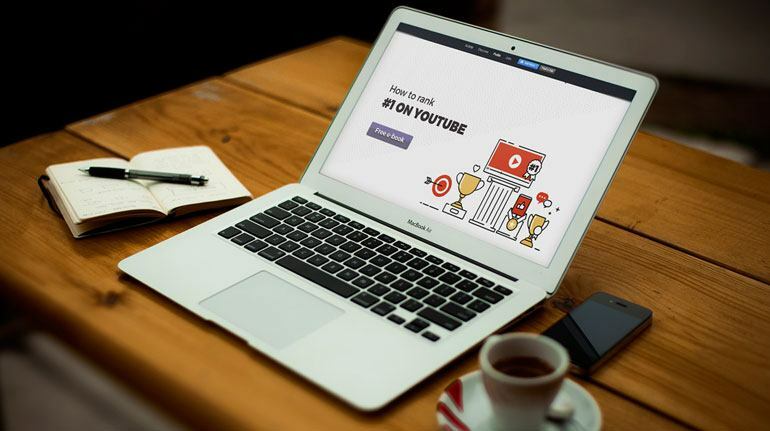 If you want to dig deeper into the fascinating world of marketing videos, please visit our Video Marketing Resources, which has tons of super yummy material on explainer videos. It’s all for free!